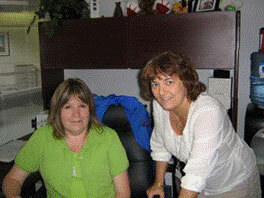 Victim Services of Brant was one of the three original pilot projects for Victim Crisis Assistance and Referral Service (VCARS) in Ontario. There are now 46 VCARS sites throughout the Province. Crisis assistance is provided by specially-trained volunteers who are on call to emergency services in Brant County, 24-hours a day, seven days a week. These volunteers are trained, crisis interveners from within the community and understand the particular needs of our area. A comprehensive screening process and ongoing training ensure that victims are assisted with confidentiality, dignity, respect and compassion. In 2009, Victim Services of Brant, Victim Crisis Assistance and Referral Service (VCARS) Program responded to 420 occurrence calls. A total of 293 calls or 69% of the requests were received from the Brantford Police Service. Requests for service included: Accommodation calls at 29%; domestic violence 33%; sexual assault 8%; sudden death 6%; and assault 6%. The Court Assistance Program helped 601 new clients in 2009. Of these, 408 or 67% were domestic violence-related occurrences. The SupportLink Program received 75 new applications in 2009. The ALERT Program received 68 new applications to the program, and 43 units were installed in 2009. The ALERT and SupportLink Programs are for high-risk clients of domestic disputes. The VQRP, Victim Quick Response Program, served 90 clients. Office Hours: Monday to Friday, 8:00 a.m. to 4:30 p.m.